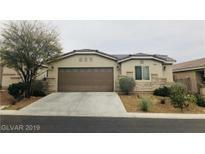 Below you can view all the homes for sale in the Buffalo Ranch subdivision located in Las Vegas Nevada. 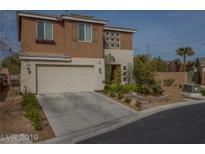 Listings in Buffalo Ranch are updated daily from data we receive from the Las Vegas multiple listing service. To learn more about any of these homes or to receive custom notifications when a new property is listed for sale in Buffalo Ranch, give us a call at 702-323-5933. Stainless Steel Appliances, Custom Tile, Bose 10.1 Surround Sound System, Spa, And Much More! MLS#2089513. NextHome Integrity. This house has been meticulously maintained. MLS#2084286. APEX Realty LLC. Huge covered patio, with pavers and green landscaping. RV parking, and lots more! MLS#2084253. Realty ONE Group, Inc.
All furnishings are negotiable for sale. MLS#2073005. Lifestyle LV. 3 Full Bath Room In A Single Story Home MLS#2069848. Go Global Realty. Good size yard with single story home behind and paver patio. MLS#2065465. GK Properties. Great Location Convenience for everything!Beautiful 5 bedroom +loft,3 Baths,W/Bed & Baths Downstairs in Gated Community of Buffalo Ranch, DH Horton Built in 2012, Large Kitchen W/Upgraded Cabinets, Stainless Steel Appliances Included, Granite Counter Tops, Large Living & Formal Dining Room, Loft upstairs, Amazing Master Suite W/Retreat with Double Welkin Closets, Double Sink, all large bedrooms.. Very Huge Nice back yard MLS#2045908. City Villa Realty & Management.